On the Friday afternoon before Rosh Hashanah, Messiahsez walked through Borough Park attracting a crowd of Hassidic Jews. “Meshiah! Meshiah!” the children shouted as the Messiahsez sauntered down the side walk, dressed in robes, toting a shofar and guiding a white donkey. One man at the Russian baths recounted that “every Jewish man circumcised in the last 40 years” had seen or heard of the Messiah returning to Brooklyn. While GRonim is crazy, he is not stupid. Returning to the work place, GRonim was able to navigate a practical approach to applying Love as an approach to hostile environments. In 2011, GRonim retired from his job, invested in his webcam and subsequently became the full-time Messiahsesz. He now has 350,000 Reddit “Karmas,” 67,000 YouTube followers, 9,300 Facebook followers, and a full-length feature film coming out in 2019. Messiah starts his day with Vipassana meditation and responds to every email, comment and message across his social media platforms. 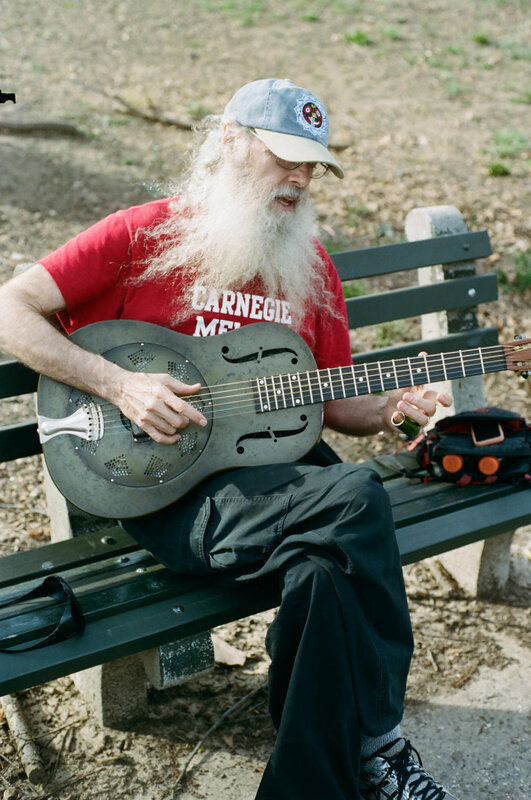 He heads to the East Village Russian and Turkish Bath’s around 11 a.m., then fills his evenings with tai chi, guitar, philosophy, comradery, and quality time with his wife. His wife, simply referred to as “Doc,” is a full time environmental activist leading the way in climate change awareness. Messiah said his platform is not too 'top of the mountain,' a term used to describe ideas too idealistic or spiritually lofty for practical application. For the time being, Messiah has gone ahead and decided to live life as if that perfection has arrived. His presence oozes kindness and love. His smile is like that of a child who is simultaneously both mischievous and innocent. A gadfly amongst his peers, Dennis GRonim is just doing his part in bringing about the change he wishes to see. A previous version of this article stated that a short feature documentary was coming out in 2019. It was corrected to say a "full-length feature film."